Located in Enterprise, Candlewood Suites Enterprise S is a 3-minute drive from Enterprise State Junior College and 7 minutes from Tartan Pines Golf Club. This hotel is 4.4 mi (7.1 km) from Dixie Boys Baseball Park and 9 mi (14.5 km) from Daleville City Hall. Make yourself at home in one of the 76 air-conditioned rooms featuring refrigerators and microwaves. 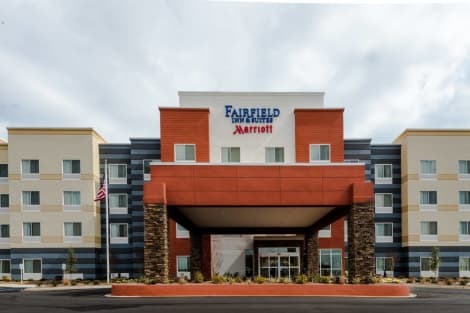 32-inch Smart televisions with cable programming provide entertainment, while complimentary wireless Internet access keeps you connected. Private bathrooms with bathtubs or showers feature complimentary toiletries and hair dryers. Conveniences include desks and coffee/tea makers, as well as phones with free local calls. Make yourself at home in one of the 50 air-conditioned guestrooms. Complimentary wired and wireless Internet access keeps you connected, and cable programming provides entertainment. Bathrooms with shower/tub combinations are provided. Conveniences include desks and sofa beds, and housekeeping is provided daily. With a stay at Econo Lodge Inn & Suites in Enterprise, you'll be within a 10-minute drive of Enterprise State Junior College and Dixie Boys Baseball Park. This hotel is 3 mi (4.9 km) from Tartan Pines Golf Club and 8.4 mi (13.5 km) from Army Aviation Museum. 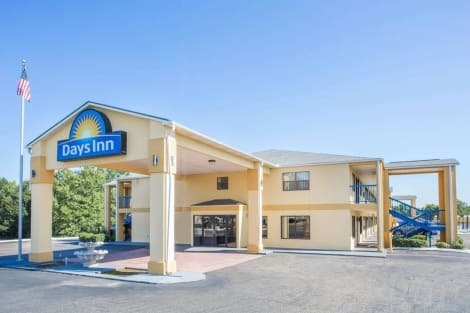 With a stay at Days Inn by Wyndham Enterprise, you'll be centrally located in Enterprise, within a 10-minute drive of Dixie Boys Baseball Park and Enterprise State Junior College. This hotel is 3.7 mi (5.9 km) from Tartan Pines Golf Club and 8.2 mi (13.2 km) from Army Aviation Museum. Located in Enterprise, Best Western Plus Circle Inn is within a 10-minute drive of Enterprise State Junior College and Dixie Boys Baseball Park. This hotel is 3.9 mi (6.2 km) from Tartan Pines Golf Club and 8.4 mi (13.5 km) from Army Aviation Museum.